Last month's selection for my ladies' book club was An American Bride in Kabul by Phyllis Chesler. Everyone is supposed to bring a food or beverage item that somehow relates to the book of the month. Being The Tea Mistress, I naturally offered to bring tea. I was originally planning to make some sort of an Afghani version of Masala Chai, because I have a lovely memory of walking around South Street in Philadelphia with my husband several years ago and popping into a little cafe on a side street. The owner of the cafe, who was from Afghanistan, asked us if we would like some chai. 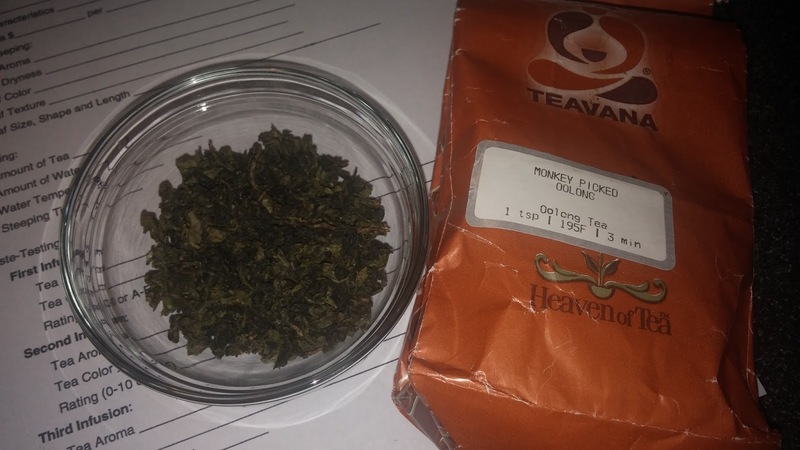 I said yes (because it's one of my favorite types of tea) but my husband said no (because it's not one of his favorite types of tea). The shop owner replied, "Ah! That's because you have never had mine! 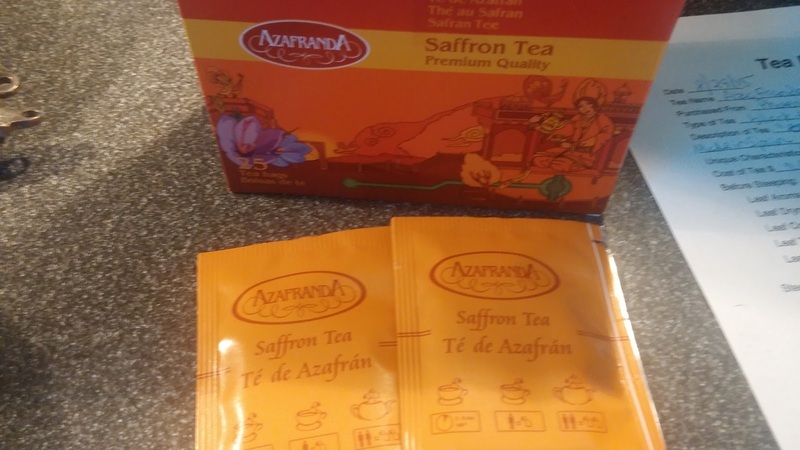 This will be the best chai you have ever tasted!" And off he ran into the back of the store. He was gone for a good fifteen to twenty minutes and we were looking at each other, wondering if we should leave. (This was in the days before Smart Phones, so you can imagine how bored we were with nothing to do but talk to each other!) Finally he returned with two large, steaming hot cups of an incredibly delicious chai! 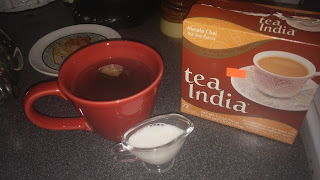 My husband promptly declared it the best chai he had ever tasted. 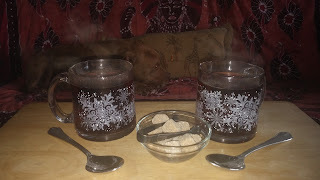 It was with the memory of this tastebud-tantalizing experience that I searched the Internet for Afghani chai recipes. 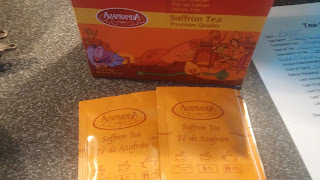 I was especially looking forward to trying this one: http://www.food.com/recipe/afghan-tea-an-authentic-family-recipe-286617 . 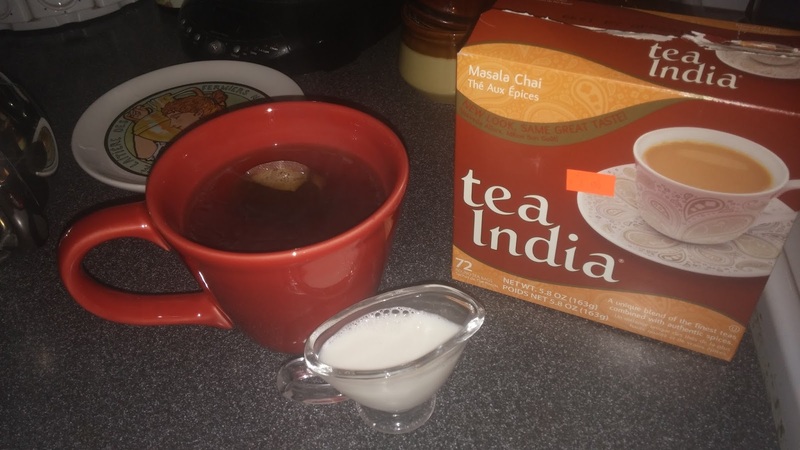 Alas, my attempt to replicate the delicious chai of my Philly memory was thwarted by the lack of milk in my refrigerator and the lack of time to run to the store and get more! Luckily this Wikipedia entry saved the day: https://en.wikipedia.org/wiki/Kahwah and Plan B was put into motion! 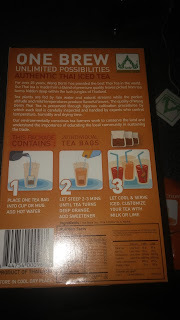 As you can see, the "Preparation" section does not contain an actual recipe with proportions, nor does it specify which type of green tea to use. I surmised that a gunpowder green tea would be a logical choice, since that's the type of tea used in Moroccan mint tea. 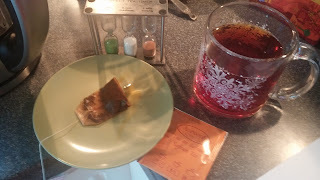 I also figured that its strong flavor would stand up well to the sweetness of the other ingredients, in the same way that the tartness of Granny Smith apples works well in many desserts. 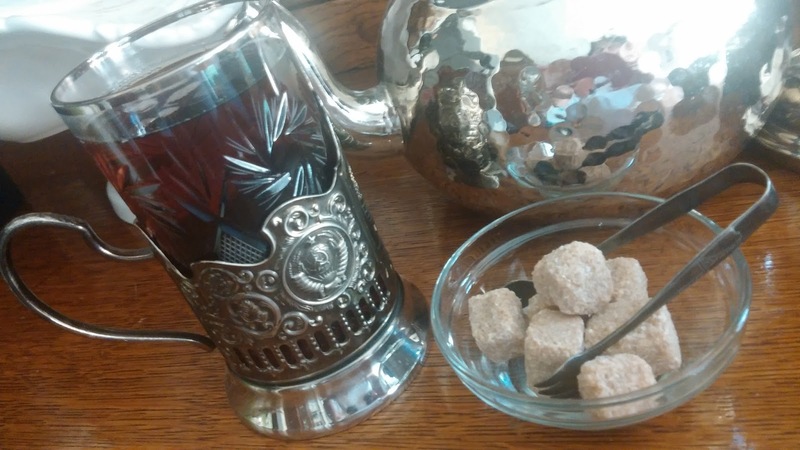 Although the webpage recommended a samovar, I don't own one yet. Instead I decided to prepare the tea in my Turkish double-boiler tea kettles, although I didn't do it the traditional way (e.g. making the tea itself in the smaller top pot and steaming it over the larger pot) because I wanted to make the tea in a container that I could transport easily to our book club hostess's home. 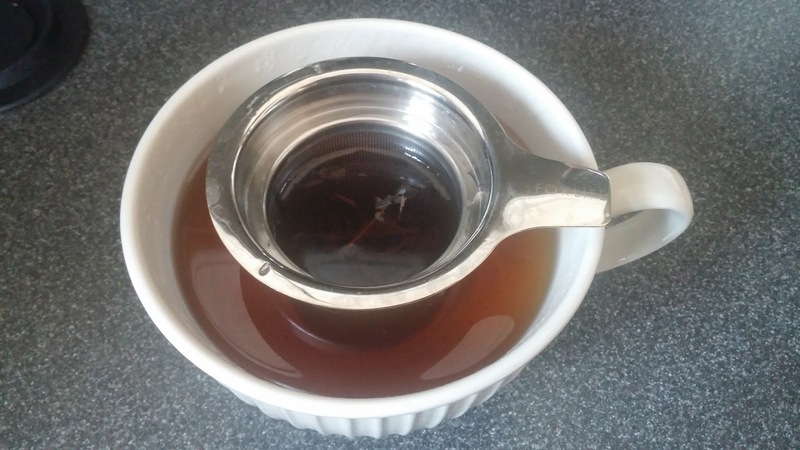 I came up with the solution of preparing the tea directly into the larger kettle. Now, normally when I prepare tea for book club, nobody drinks it. I assumed that they'd mostly be drinking coffee since it was a Sunday brunch time of day. 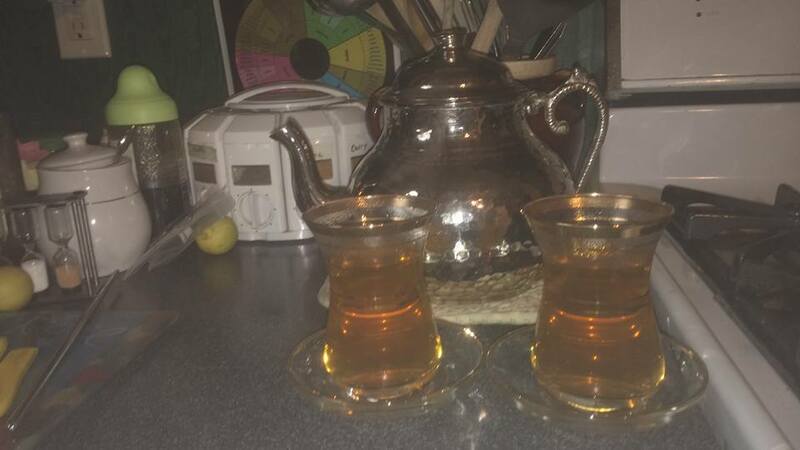 Therefore I decided to make 6 cups of tea and have it "tested" by my husband and me prior to transporting it. Bring water in kettle to rolling boil. 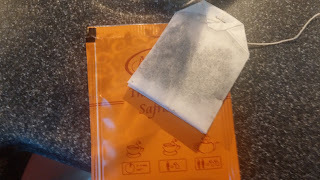 Add tea (in muslin bags) and all other ingredients. Simmer for five minutes. Turn off heat. I poured the tea into my Turkish tea glasses (because I don't have any Afghani tea glasses) and served it with a sugar cube (for me) and honey (for my husband). 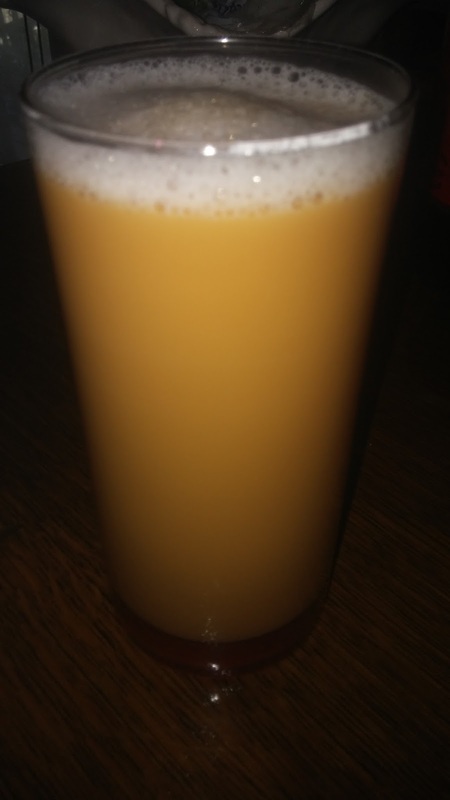 He loved it so much that he drank two glasses of it! I enjoyed it as well. 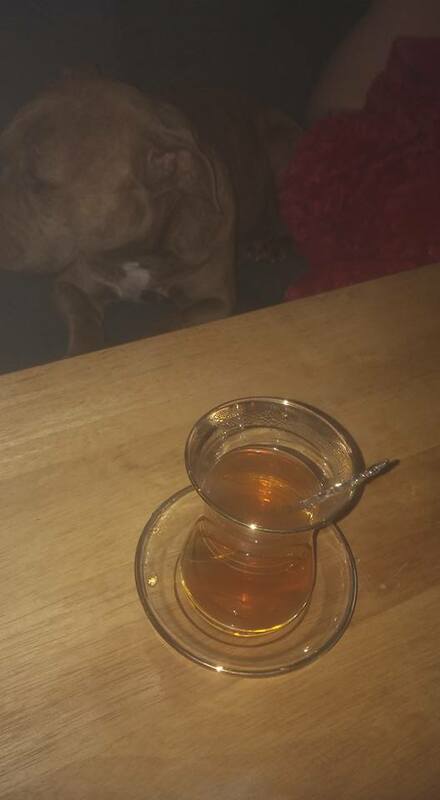 Despite the photograph below, my dog Lilly did not actually drink any of the tea. I wrapped up the kettle containing the remaining tea and carefully transported it to book club inside of a large stockpot. 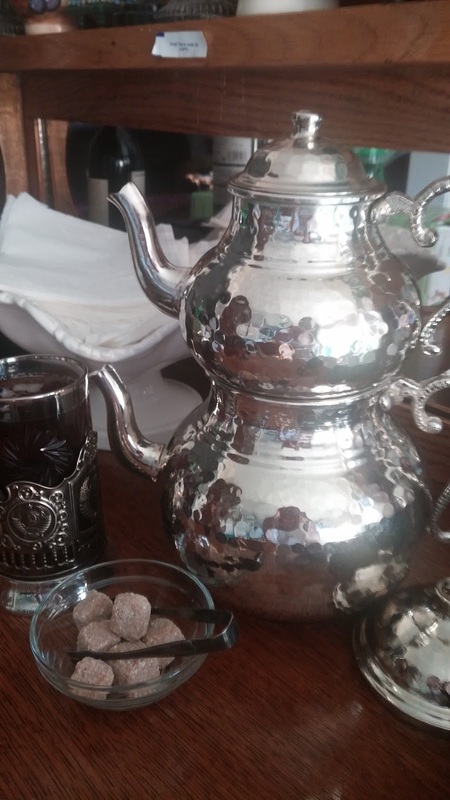 I brought with me a set of six Turkish tea glasses and spoons as well as a box of sugar cubes. 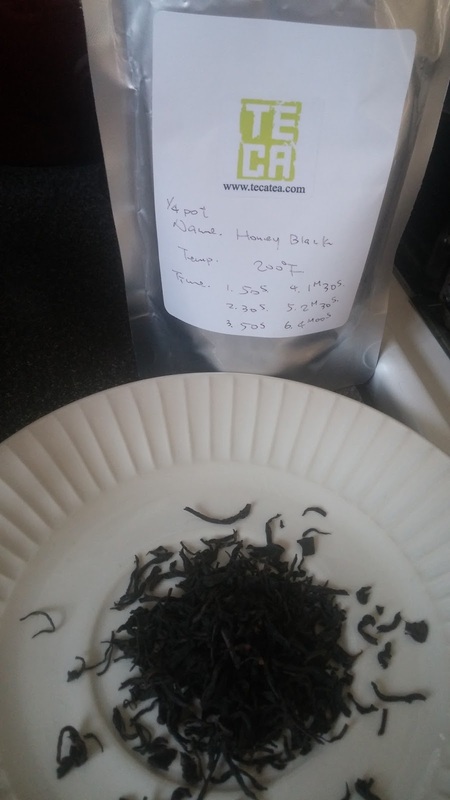 To my surprise the tea was a big hit! I wasn't expecting anyone to drink it, but I think the novelty of the delicate-looking tea glasses and spoons intrigued the ladies. 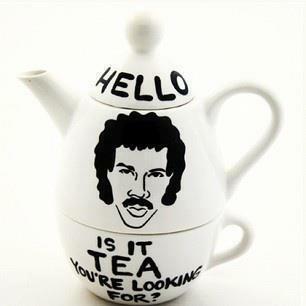 They drank every last drop of that tea and left me wishing I had made more! Our lunch consisted of turnip pancakes, plain yogurt, cabbage salad, couscous, lentil salad, potatoes in paprika, homemade bread, hummus and pita, rice pilaf, and some delicious desserts. Please excuse the burners which really need to be scrubbed and repainted! One of these days I'll learn how to crop a photo. One of my group members is very particular about her iced tea. She hates iced tea from a concentrate, which is what most restaurants carry. This restaurant is no exception; however, a few months ago there was a happy accident: the soda fountain dispenser was broken and there was no iced tea! Wanting to make her customers happy, the owner very kindly brewed some of the special Nepalese tea that they use for the masala chai and made fresh iced tea! The result was that my group member was VERY happy with the delicious tea and couldn't stop raving about it! Now she asks for it every time we go, and she's gotten others in our group hooked on it. Yesterday we went there again, and the owner recommended that we call ahead next time we come so that she'll have it ready and waiting for us when we arrive! How's that for great customer service? Me? I like iced tea OK, but I'm a masala chai fanatic! 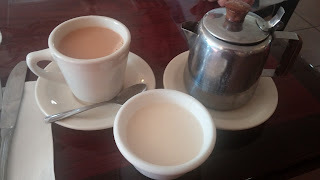 I absolutely love the masala chai here: it's strong, spicy and creamy, and I can add my own sugar to taste. They give you a pot of it, which works out to two cups: a generous portion compared to the other Indian restaurants in this area. 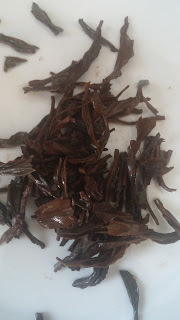 Below I've posted some photos of this delicious black tea from Nepal in its iced and hot forms. Last weekend I was feeling the need for copious amounts of caffeine, so I broke out the Turkish double-boiler teapot (çaydanlık) and the Turkish black tea that a friend had sent me from Turkey and made a big pot of dark, strong, steaming hot Turkish tea. 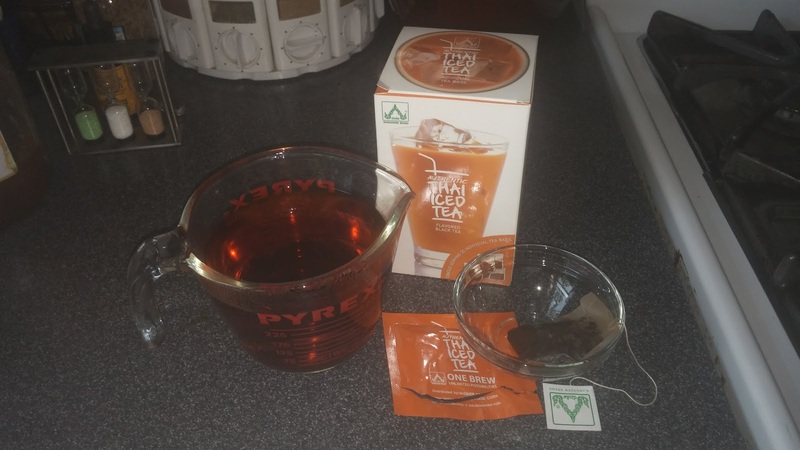 Although it's not rocket science, it's a more complicated process than just throwing some hot water over a teabag. First you have to measure the tea and rinse it in a sieve, then measure the water for both pots, bring the water to a boil, add the tea and water to the top pot, and steam it for 20 minutes. 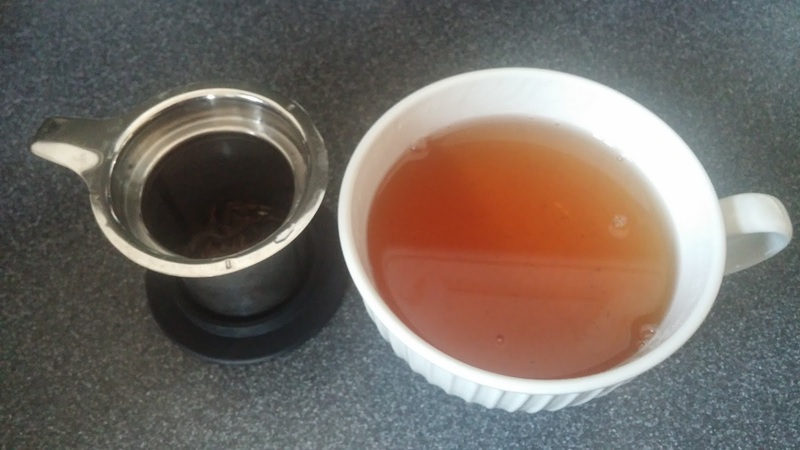 The result is an incredibly strong brew that you dilute with the boiling water from the larger pot. Milk is not used in this tea, only sugar cubes. This tea has a brisk (slightly bitter) bite that stands up to sugar. After two cups, I was jittery for the entire day, although I didn't regret it until it was time to go to bed! 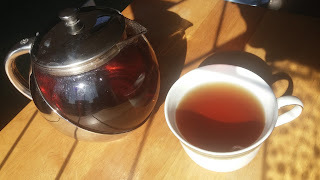 Hello and welcome to my tea blog! Before I introduce myself, let me warn you that I am technologically challenged. I actually tried to start this blog on blog.com but was unable to get any photos to upload despite following the instructions. I am not having much luck over here on blogger.com either: I keep getting error messages that my photos are too large. Please bear with me! 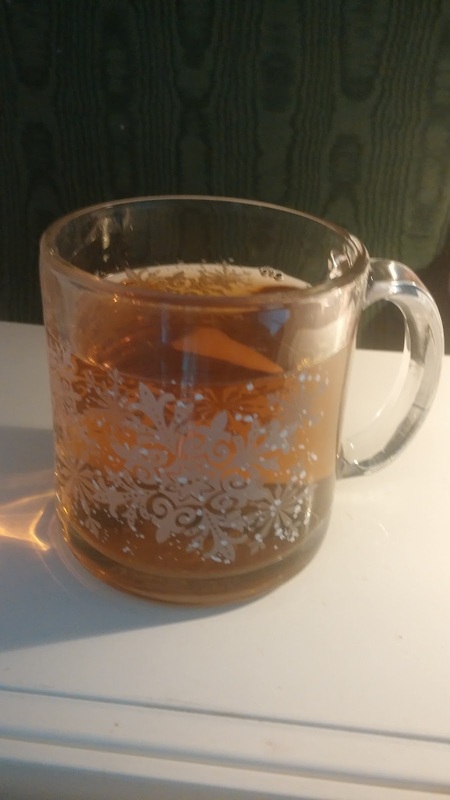 Yes, I know that's a cup of coffee in the current layout, but I had no luck uploading my tea photos. Hello! 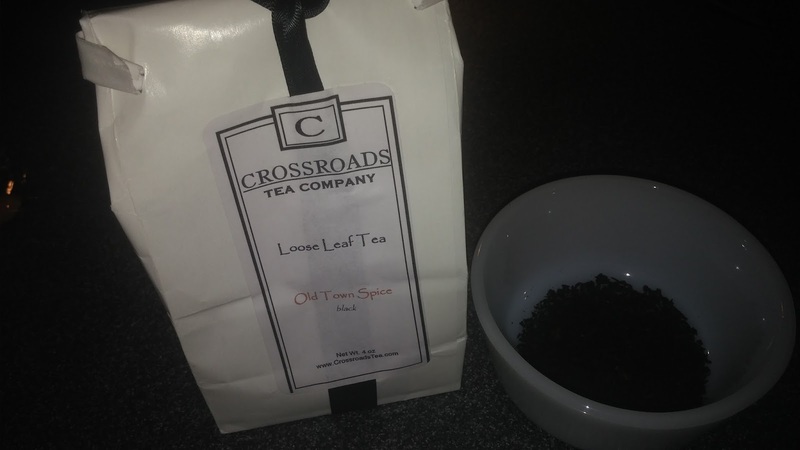 My name is Amanda and my company is The Tea Mistress, LLC. 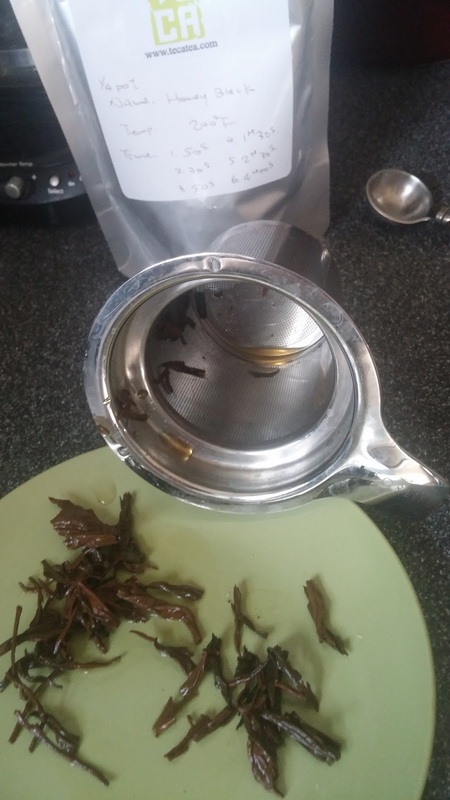 I am certified as a Tea Master by the American Tea Masters Association and I've been in business since 2013 selling specialty teas, teaware, tiny teapot jewelry, and doing talks, tastings, tea and food pairings, lectures and tea parties. 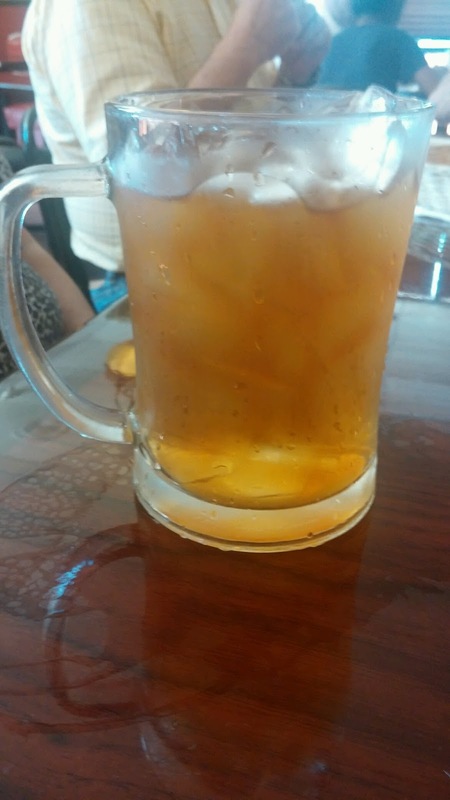 I recently organized the first annual Lone Star Iced Tea Festival held in Houston, Texas on August 9, 2015. 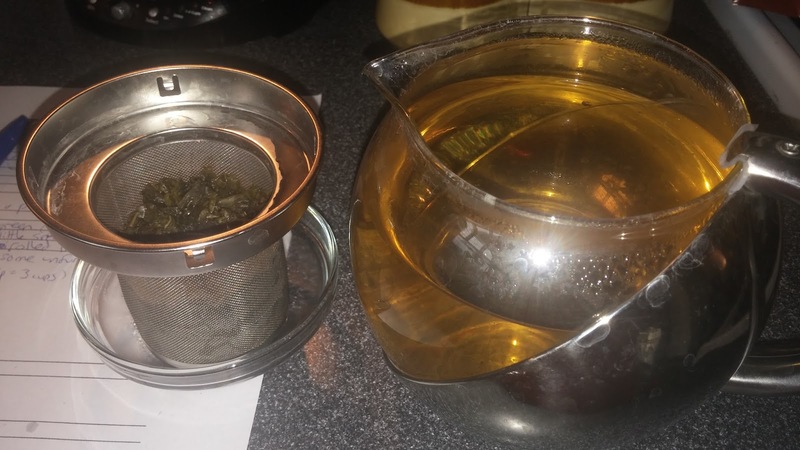 I am the organizer of two tea meetup groups, Tea and Conversation with Friends (DFW) and Tea and Conversation with Friends (Houston area). I have so much tea in my kitchen that I have not even tried yet, and I thought maybe a blog would motivate me to taste and evaluate the teas. 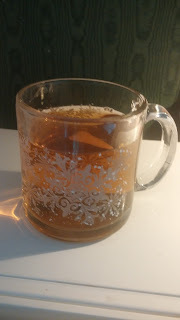 I'm also going to review tea-related businesses (restaurants, cafes, tea rooms, tea shops, festivals and fairs) that I visit alone or with my meetup groups, and maybe post some articles too. We'll see where this leads! I'll be reviewing some teas I sell, some teas that I've purchased as a customer, some teas I've received as gifts, and sample teas I've received at World Tea Expo or local tea festivals. 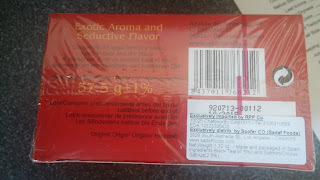 I will disclose the origin of the teas in each review. Oh...I'm on Facebook and Twitter too. I have an Instagram account, but haven't done much with it yet. That's on the to-do list as well.